With the increase in cost of attending university, more students are now considering alternative routes of education. In fact, the amount of students that are enrolling on a UK distance learning course has risen considerably due to being perceived as a more cost-effective route of higher education. Whilst in comparison to conventional education, the execution of the course differs, a distance learning course is often a more enriching and rewarding experience for the student and therefore continues to appeal to students. UK distance learning provides students with the opportunity to tailor their education in accordance to their needs and is therefore more malleable than a traditional degree. As the job market continues to become more competitive, students are having to do more to secure positions. A degree itself is no longer enough and therefore the experience and skills that come with a distance learning course are perceived as invaluable. This route of learning also allows students to have the freedom to simultaneously work and study without either commitments being affected. This can often be difficult with traditional education where making the commitment to attend classes can require a large amount of time, therefore hindering time and progression in a job role. Therefore, a distance learning course will not only allow time for both but will positively impact future career prospects by ensuring that you have the relevant experience and are more prepared for any job role. Distance learning courses also make it possible for working professionals to improve their career by providing them with the resources to enhance their knowledge. They are able to study without having to give up their job or it hindering their work performance. This can be helpful in cases where someone may be looking to seek a promotion and therefore must develop their knowledge whilst still being able to excel in their current job role. It provides people with the capacity to broaden their understanding which will inevitably have a positive impact on the organisation. Enrolling for a course also demonstrates to an employer that an employee is committed to self-development which is a highly desirable for any organisation. With the constant shift in industries, it is important for employees to remain up-to-date, therefore UK distance learning can help with ensuring that they aware of changes and developments within their field. A UK distance learning course is also helpful for people that have other commitments such as having children or being a carer for someone. It allows them to continue and pursue higher education without having to choose between the two. This not only makes education accessible to people that may not have had the opportunity to pursue it otherwise, but can broaden the appeal of education as a whole by making it seem more attainable. Whilst some students may worry that distance learning lacks the social aspect that comes with a university experience, technology has made it possible to emulate this and with the introduction of things such as online forums, it is now possible to remain more connected than ever. Students are still able to benefit from things such as feedback from tutors or seeking advice. Distance learning has quickly evolved and is now providing students with a more enriching way of learning whilst ensuring that they are still able to have access to the more social aspects. With the availability of countless online communities and resources, students have the opportunity to ask questions and support one another in the same way that they would in a classroom. Whilst traditional education has always taken precedence, job roles are now becoming more demanding and therefore distance learning has bridged the gap and catered to this need. Students now require more than just an education and need the flexibility to work and learn at the same time, therefore distance learning will continue to develop and increase in popularity due to allowing time and space to commit to both. How online learning benefits students in different ways. Conventional education allows the lecturer to decide how they will convey information to the class and teach students. However, online learning gives you the opportunity to become your own teacher, providing you with full control. People learn in different ways so this control could be the distinguishing factor of whether or not you achieve good grades. For example, in a classroom, the teacher may ask you to complete a task to learn something. With online learning, although there are tasks, you have the time to teach yourself concepts differently without the pressure to quickly provide answers to the teacher. This not only results in you understanding topics better but ensures that you explore different ways of learning, allowing you to fully retain information. Instead of having to sit in a classroom full of your peers, you can choose where you learn. This ensures that you are maximising your own potential and also helps you gain the most out of your education. For example, if you know that you work better in a library or in the middle of a coffee shop, you have the freedom to learn in these spaces. Creating your own working environment has a positive impact on the way that you absorb and digest information. Again, everyone works differently and so being forced to learn in a classroom setting is not always successful. Sometimes it is about finding the right space for you. Although the cost of the course itself may not necessarily save you money, you will find that you are still able to save within other areas. For example, not having to travel to attend a class or purchase textbooks. Online learning also allows you to choose your own hours, therefore creating time for you to pursue other things such as a full-time job. Being able to earn whilst studying is often difficult to balance with a conventional education because classes can be spread throughout the day. Online learning provides you with the flexibility to work at any hour of the day and coordinate your learning around your schedule. One of the advantages of this is that if you are put into a situation where something urgent arises such as your car breaking down, you do not have to worry about rushing to a class due to the fear of missing out on an entire topic. Instead you have the luxury of being able to re-arrange your time and learn later or on another day. This flexibility is non-prevalent within conventional education, in fact missing a class can often force you to fall behind your peers. Distance learning allows you to be a part of an online community and therefore helps you connect with other professionals in the field. This will provide you with a more in-depth understanding of the global industry, whilst aiding your education through reading and sharing relevant material. By placing you in a situation where you are responsible for networking and building connections, it can set you up for your future career where this is something that will be expected from you. Gaining different perspectives can also aid your thinking skills and therefore cause you to think more critically, a skill which is highly sought by employers. Online learning can be responsible for improving many of your personal skills and is something that can benefit all areas of your life. For example, it will help to make you more punctual through your time management skills. This can then go on to impact you when attending social gatherings or even attending meetings in the future. There are countless ways in which online learning can help to enrich your life and develop into a well-rounded person. Why is there such a huge buzz around distance learning? UK distance learning courses have recently become increasingly popular and are now being recognised by more and more students as an alternative way of learning. By differing from conventional education through being presented as independent and manageable, students are realising that this avenue provides them with full control of their time and education. UK distance learning makes education accessible and attainable, thereby ensuring that it is being pursued by more students. With the evolution of the internet and technology, it is becoming an integral part of education and is therefore helping to demonstrate the impact and ease of online courses. UK distance learning courses are more efficient due to their overall lack of cost and time. In fact, universities are already utilising online portals to make things such as reading material or module information accessible to students. With everything quickly becoming digitalised and institutions already implementing it into their teaching, it is evident that online learning is the way forward. Less intimidating than being in a classroom. It can often be difficult to ask questions when teachers have a time constraint and are running through substantial topics within a two-hour time span. In fact, it can even be tough to have an in-depth discussion during these short classes. Distance learning eradicates this by allowing you to interact with your instructor online whilst also being part of an online community that supports each other. This not only makes it easier to ask questions but ensures that you do not feel intimidated by peers and are able to fully grasp concepts before moving on. Allows you to pursue other things. Students often find that education can take over their lives, therefore making it challenging to balance things such as a job. However, distance learning cuts out the time that you would have otherwise used to travel to a class, ensuring that you have full control of your learning hours. This allows you to work around your other commitments which can be difficult with traditional education. Teach yourself. Learning online allows you to take the time to comprehend ideas without being rushed. You can learn at your own pace because you become your own teacher. People absorb information in different ways and therefore traditional education may not cater to everyone. For example, if you are a visual learner, being made to read large amounts of text will not help you retain information. Having the liberty to be your own teacher ensures that you are not only understanding but also retaining ideas and concepts. How does distance learning shape your character? By improving things such as your time management skills, distance learning moulds you into a more self-disciplined person. Due to having to be fully accountable and responsible for your own time and learning, you will find that your personal skills will also improve. For example, you may become more punctual and productive because you have trained yourself to have a better grasp of time. You will also become more determined and self-motivated which is something that can benefit you in all areas of your life, as well as the workplace. These are skills that are sometimes difficult to ascertain otherwise. How does a distance learning course help your career? By teaching you highly desirable and transferable skills, distance learning can make you globally employable. Being able to teach yourself and remain committed displays to an employer that you are hard-working and focused on self-development. Your ever-growing knowledge can positively impact and improve the workplace because you will always be seeking new ways to attain and learn more skills. Overall, distance learning provides you with a wealth of skills that traditional education may not. It improves your work ethic and therefore opens up the pathway to success. Traditional education requires attendance to lectures and seminars, whereas distance learning allows you to gain an education through the internet. It is comprised of online classes but still requires you to take exams and complete assignments in order to assess your learning. However, it is more flexible and allows you to coordinate your learning around other commitments and responsibilities that you may have. Education is perceived as an enormous commitment, however it does not have to be the main focus of your life. Distance learning can be done alongside other things, for example working full-time, making it possible to pursue other things. Distance learning also makes education accessible to everyone and with the progression of technology, seems to be the way forward. Remote learning. All that is required is an internet connection and you are then able to work from anywhere. This allows you to create your own working space and therefore be able to thrive in your own environment. It also means that you do not have to dedicate hours of your day to attend a class or hand in an assignment. It brings your learning to you. Convenience. The convenience of distance learning means that you can be more productive with your time. For example if you have a 30 minute commute on the train to work, you can use that time to read an article or watch an instructional video as part of your learning. It allows you to maximise your time wherever you may be. Flexible. Traditional education requires having to be present in a seminar at a fixed time every week. However, if for some reason you cannot attend, you then have the responsibility of going out of your way to find out what exactly you missed. Distance learning changes this by allowing you to access material at all hours of the day, and create your own timetable of study. If you are caught up elsewhere or have to tend to an emergency, you can be flexible and go over the material later, or another day without hesitation. It not only prevents you from falling behind but ensures that you are always one step ahead. Cost-effective. Distance learning eliminates the time and cost of having to travel to a class which can often add up and become a financial burden. This method of learning means that you can save the money that you would have otherwise used to attend a class. It also eliminates the need to have to move away from home in order to study which again is something that can become costly. More courses to choose from. Distance learning does not limit you to one institution which can often be the case for traditional education. For example, if you are looking to study a niche course, it may only be offered by select universities and therefore restrict your options. There are now countless options online and you have the opportunity to study a course of your choice without having to worry about being able to travel or move away. Whereas a more conventional education may provide you with the opportunity to collaborate with other students in seminars or present to the class, distance learning is often perceived as an overall more isolated experience, inevitably leading to questions about employment options. However, distance learning makes you more employable because it not only forces you to become more self-disciplined, but allows you to develop countless skills and be accountable for your own learning. You are your own teacher, which can demonstrate to an employer that you were able to take control and commit to pursuing and achieving. These are all highly desirable skills and are extremely valuable to employers and can be used to give you an advantage over other candidates. In fact, an employer may value an online degree over a traditional education because it is a testament to taking ownership of your learning and succeeding. Ask any student and they’ll tell you that without a doubt a MBA increases your chances of gaining better employment. According to the Complete University Guide, the number one school in the UK offering MBAs is the London Business School. Almost instantly, the price you would think an MBA costs has doubled if you’re thinking of attending the London Business School. What if you could have an MBA without the excessive cost and all from the comfort of your own home? The Online Business School (OBS) offer an online MBA that consists of 30 interactive modules and 8 written assignments. Each module has on average 40 guided learning hours that you can complete at your own pace. All the material is available online so you can study this from home or even pick your favourite coffee bar. An additional 30-50 hours are optional where you can complete the recommended exercises and reading or even carry out the self-testing exercises. This is available at only £1095 and ensures you are qualified to progress on to a MBA top-up degree at a wide range of UK universities. The MBA top up degree comes at an additional cost but you’re certain to receive a quality university experience; combining distance learning and studying on campus. With the OBS, you also get access to 24/7 support plus tutoring making the path to a degree a smooth one. So why should you choose an online MBA? With the nature of an online education making it accessible worldwide, an online MBA gives you access to a strong and useful professional network. Whilst sharing ideas in the student forum, you may discover career opportunities all over the world that you may never have previously considered. Online education has a wide range of students and with that comes the wealth of wisdom that can be shared to enhance your university experience and possibly even your career prospects. Students who are too busy and may not otherwise have the time to attend careers fairs and other networking events may find that they do not need to once they have studied online. So if you’re considering an MBA, don’t discount online education providers. The courses are made to be practical so you can slot them in to your day to day life. If you’re motivated and have the desire to learn, they can be just the right push your career needs. 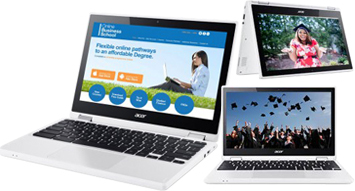 Furthermore, they are available at affordable prices so a traditional university is not the only option you have. ‘If it wasn’t for my degree, I’d still be doing the same job as I was doing seven years ago,’ quips Alison Green from the Online Business School. If you’re wondering whether a degree is still worth the hassle, recent statistics confirm that graduates can expect to earn more over their lifetime compared to those without a degree. To be able to get a degree, it also doesn’t necessarily mean going back to the classroom and sitting through hours of teaching. The importance of a degree comes not only from the certificate handed to the graduate at the end; it is a culmination of the skills that are borne from hours of assignments, coursework and exams. A first year student that begins their university degree is in many ways different to the one that finishes the course; they are molded into a professional that is ready to start employment. The degree received in the end however, is a testament of a student’s will and determination. Upon seeing this degree, an employer has a clear idea of what their employee is capable of and what they have already achieved. When the time for a promotion rolls around, an employer will immediately think of those with a degree first and foremost and they will be given the opportunity for growth. That’s not to say that someone without a degree is not in line to get a promotion, they simply have to work harder to prove their skills and ability. A degree does not have to be something that you end up paying for the rest of your working life. With an institute like the Online Business School (OBS), you could study towards an undergraduate degree at less than the cost one year at a university. You could also top up your existing degree with a universally recognised MBA online. You may already be working at a job that you enjoy and you could pick a degree that is related to your career path. This will equip you with the tools to progress into a position which is more demanding. It need not be painful either; Online Business School ensure that any study for their distance learning can be completed on any smart device. So you may well be tucked up in bed or commuting to work whilst gaining the extra skills you need to excel. ‘For me, the most important factor was to ensure that I stayed motivated during my diploma,’ says Simon Worth, studying the Level 7 diploma in Strategic Management with the Online Business School. Sure, online degrees may be affordable and provide quality content however a student must make sure that they maintain focus throughout. A good online education will be one which meets the need of its students. With the OBS, the hardest part will be to decide which course to choose! Learning online, could it save you thousands? Like many people worldwide, going to University is something they feel they can’t achieve as they can’t afford the fees. The thought of having the debt that is associated with University and supporting themselves throughout their time there is often the most important reason for students not pursuing their degrees/MBA’s. Squeezing in a part time job around your full time study just doesn’t seem appealing to some people. No matter how much they want a degree or MBA they feel as though this is not a realistic approach. Why pay up to £27,000 just for tuition costs when you can get a degree or MBA for £4,000 with Online Business School? Come out with a UK degree without all the associated debt. There is no need to waste three years completing your degree, when this can be done online in half the time .Get your degree faster than those at University allowing you to start looking straight into the career you have dreamt of. You can maintain a full time job whilst studying, which means it won’t affect your earnings. One to One tuition from a qualified tutor. 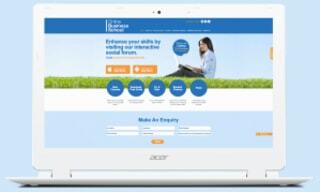 You will never feel isolated or short of advice and help with online learning. You can request help at any time via our bank of tutors and you can also use the student forum to connect with your peers. Online Business School offer 24/7 assistance. Interactive bitesize modules for all – Modules have around 40 guided learning hours of material which includes text, interactive videos and engaging tasks. This prevents learning becoming tedious, keeping the material fresh making sure we have the latest activities and video footage within the modules. You now have the opportunity to get an affordable degree/MBA with Online Business School for 60% of the cost. Please note OBS are one of the UK’s cheapest Online Learning providers. This is why we have over 5,000 students worldwide and why we are growing on a daily basis. This could be the next career opportunity for yourself! If you need any more information on gaining a UK degree or MBA for just £4000 with Online Business School, please click here. Ever thought of investing your money into something much more important, like yourself? OBS offer an amazing opportunity for you to gain a UK Online Degree or UK MBA at little costs. With OBS you can save 60% on fees for UK degree or MBA with them today. Online Business School provides an Online degree pathway course at just £995 and MBA pathway courses at only £1095 with no hidden costs. For those students who’s budget would not cover this cost upfront, OBS offer a flexible monthly interest free payment plan as per student’s convenience. No commute costs; no wasting money on petrol or public transport. No lost wages; You can still earn around your studies; this is at your own convenience. No printer costs; As everything is done online, you will not need to hand any work in psychically. Online Business School at present offer business and management degrees, OBS are one of the best Distance Learning providers in the UK. This is why currently at Online Business School we have around 5,000 students enrolled from over 50 countries across the world. Due to flexibility and affordability, numbers are growing day by day. So make this the day you change your life and get yourself an affordable UK online degree! For more information on the courses OBS provide, please do not hesitate to contact us or for anyone who’s looking to receive smaller instalment plans, you can write to our Senior Student Advisor Michele at [email protected] or can simply call us on 02476 223 940. Many people turn to distance learning as the new way of studying, it has the unique benefit of allowing you to develop your career whilst still being in employment. Distance learning also gives people the opportunity to springboard their way to promotion, maybe begin a new career or just assist them further in their current position. UK distance learning courses can also be used to widen and deepen people’s knowledge of their favourite topic. Here at the Online Business School, we pride ourselves on the flexibility of the distance learning programmes that we offer. All of our programmes allow students to study anywhere, be it from the comfort of their own home or even on the train! Students do not have to attend any lectures, there is no classroom study thus allowing students to study around their everyday work/family life. The distance learning programmes that the Online Business School offer all contain a certain amount of modules, once you have studied a module you are then required to take a multiple-choice test. The multiple-choice test is once again online based and has 30 questions and a time limit of 1 hour. After all the modules have been completed and all multiple-choice tests have been passed there are then a further 8 assessments need to be taken. These assessments are based on all the modules that have been covered within the programmes. Once students join the Online Business School they will have their very own dashboard, this allows them to login and view all the modules, tests and assignments. The dashboard also contains the social learning forums, enabling students to discuss theories/ new ideas with students that are on the same programmes. It is not just about the flexibility that the Online Business School prides itself on, affordability is also another very important factor. Many people who have to fund their own studies look at what is on offer and what is best to fit their budget. Students can choose to pay for their programme in one payment or they have the choice to spread the payments. Remember that studying for any kind of qualification gives employers the insight that individuals are committed to helping themselves by further developing their skills and knowledge.